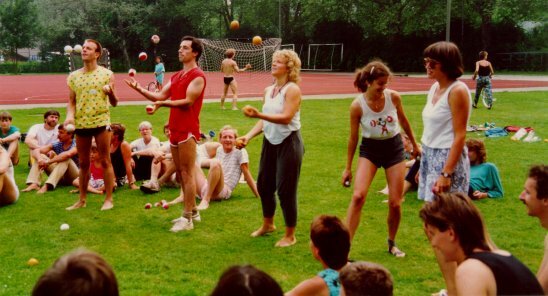 The first Swiss Juggling Convention was a big adventure. After the 9th European convention in Castellar della Frontiera, in Spain, Bruno Saxer, his sister Gerda, their friends Peter Marti, Rita Siegfried and Ursula Schori decided to organise such a big event in Bern (Switzerland). But they had no idea how many jugglers would come, or even if any jugglers would come. Finally about 200 jugglers came and had a big fun during this sunny week-end. 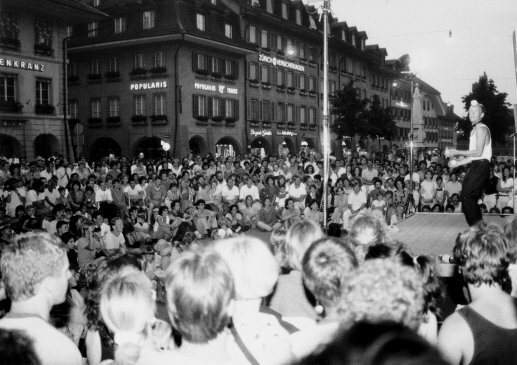 As in all Swiss conventions, a public show was organised on saturday evening, and games took place the sunday. The public show was a big success with over 800 spectators. It was held in the center of the city. The success was such that they reorganised a convention the following year. Then Bruno asked me (Bernrard) to organise the 3rd convention in Geneva. 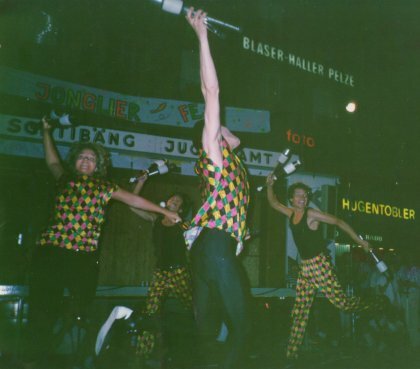 This was the birth of the Swiss Juggling Conventions traditions. Spontaneously, once a year, a convention was organised in other region of Switzerland. - KeulenMüssli, This was the name of the organisers group for shows. Gerda + Peter + Bruno and Rita. 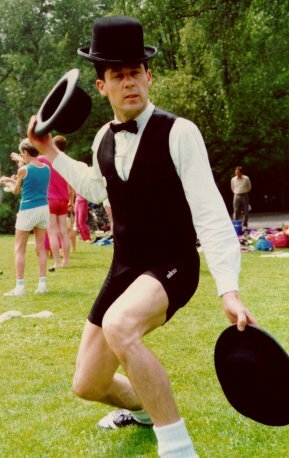 - Peter Marti juggling hats, He was also the public show presenter. - Peter Marti and Gerard Clarté stealing clubs. - Daniel Tschanz, Now he juggles 7 balls ! - A strange juggler ! - Jorg Treiber at the public show . - The 4 balls competition, Finalists are Gerda Saxer, Marc Legoux and I don't know the 3rd one, (sorry) . 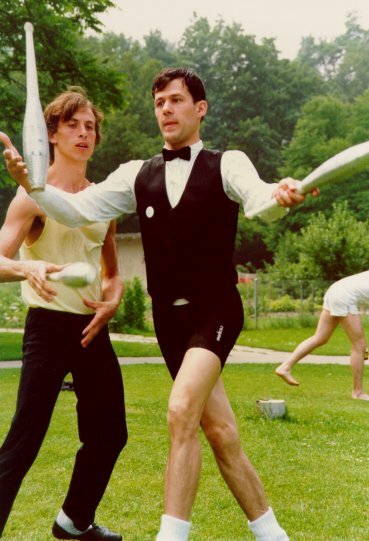 - Joggling, a combination of juggling and jogging . 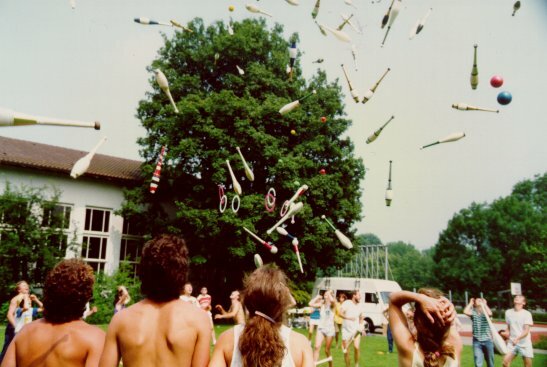 - The big toss up, ending the games .